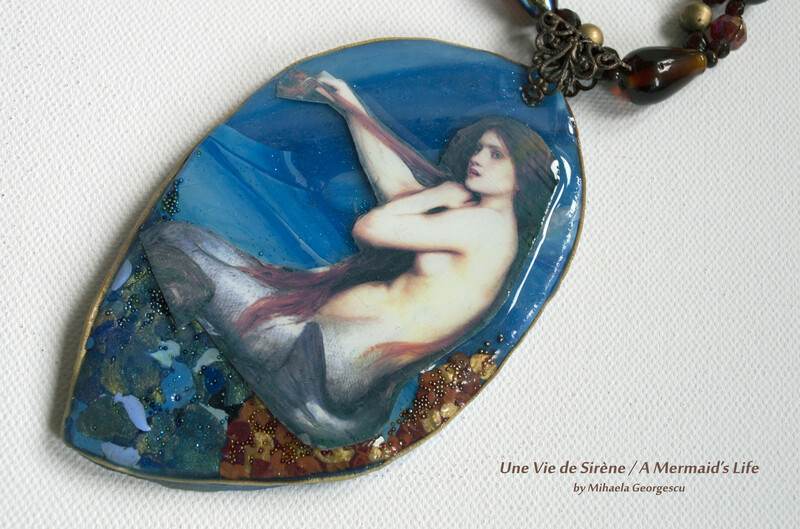 I created this Polymer Clay pendant being inspired by Edmund Dulac’s painting called the Little Mermaid. In fact this was the theme of a monthly challenged published by ArtBeadScene. I am very happy to work with a given theme in mind. It makes things easier. 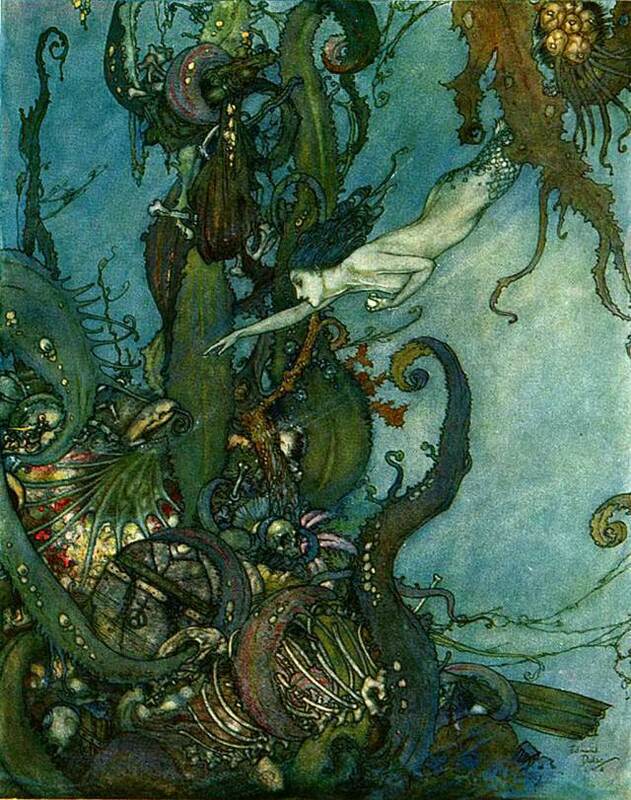 And as I like mermaids and mermaid stories a lot, I decided to use a crop of a Waterhouse painting (The Mermaid). I have made the base from Polymer clay using several shades of blue, gold, maroon and burgundy polymer clay and micro-billes to have the effect of sparkling sand. In the meantime I coated the mermaid’s image with Modpodge (both on the front and on the back) and I put resin on top (I used Cleopatra resin). After 24 hours I put the image on top of the oven-baked pendant base and added a layer of resin. After about 36 hours the resin was cured enough to allow me to put the pendant on a string of beautiful beads. I made a shell-like polymer clay dangle to reinforce the sea life theme. It was a rather long process, but I was very happy with the result!